Jose Mourinho has claimed that Manchester United legends, Wayne Rooney and Ryan Giggs are ‘confused’ about Paul Pogba, after the pair waded into the debate surrounding Pogba’s best position this week after the 24-year-old was dropped for the club’s victory over Huddersfield. According to Dailymail UK, Rooney had categorised Pogba as a ‘box-to-box midfielder,’ while adding he needs freedom to ‘cause mayhem’ on his Sky Sports punditry debut. Giggs, now Wales manager, wants to see the Frenchman deployed on the left of a three-man midfield. 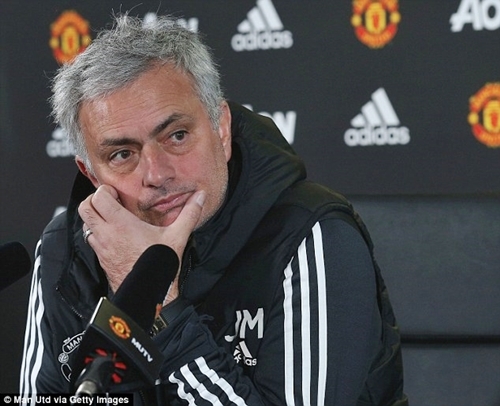 ‘I had a few laughs over the past week because I heard, I watched, I had a chance to read a few things,’ Mourinho said. ‘I got a little bit confused with some comments from important people in football. Playing box-to-box free of defensive duties is not box-to-box. That’s a box in the box and stay in the box and don’t move from the box! ‘People say what’s his best position? Paul is a midfield player. It doesn’t matter the tactical system the team plays, Paul is a midfield player. ‘We are in a world of opinions and people can get a little bit confused but between me and Paul there is no confusion. He is a midfield player and that’s it. Pogba has responded well to being left on the bench last Saturday, a decision taken after being hooked early against Tottenham. He was first out on the grass at Carrington yesterday [ON FRI] and is primed for a recall and Mourinho believes he will bounce back.